With an aim to fulfill varied requirements of our valued clients, we are engaged in offering Laser Cutting Fume Extractor. 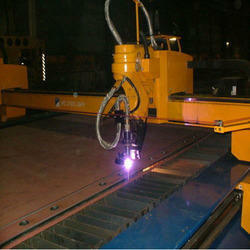 At our unit, our professionals manufacture the extractor by adhering to industry norms. They also make sure to use quality materials and approved components for manufacturing the extractor. Once the extractor is ready for operation, our engineers ensure by opting strict quality checks so that the extractor offers reliability and high performance to the clients. Furthermore, clients can opt for custom design and compact design according to business requirements. We are offering this type of extensive range Mechanical Driven Roof Extractor which is a driven by Motor unit. These extractors consist of cast aluminum alloy impellers, aerofoil section blades and are also equipped with capable weather proof exhaust cowls. Our roof extractions are in huge demand around the national and global markets. 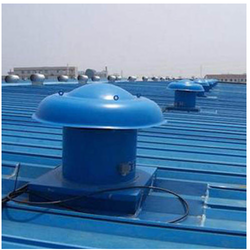 The Motorized Roof Extractor offered by us are is mounted on the roof to exhaust air forcibly. We provide superb quality Roof Extractors to our valued customers in accordance with their needs. Low noise and leak proof installation is ensured. Continuous expulsion of indoor stale, hot and contaminated air gives way for fresh air entry into the enclosed space thus maintaining healthy indoor air quality. These units are useful with ducts also to extract air from a particular location. 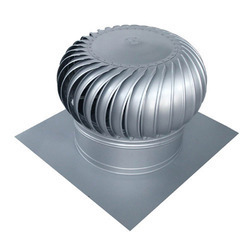 Our roof extractors are axial fan based. Looking for Roof Extractors ?